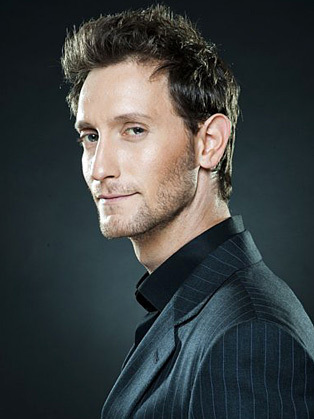 Lior Suchard is best known as a supernatural entertainer and mentalist. Do you believe someone can read your mind? Lior Suchard can. He can delve into your innermost thoughts, and know what you are going to say even before you do. His outstanding performances of mind reading, thought influencing, predicting and telekinesis have earned him international acclaim as a top class supernatural entertainer and mentalist from members of the public, to the best- performing CEOs worldwide and Hollywood celebrities. Lior Suchard is considered to be the world’s greatest mentalist. His mind blowing performances of thought influence, miraculous prediction and startling mind reading have made him the most sought after mentalist on the planet. He entertains audiences all over the world, which have brought him a list of fans stretching from A-list Hollywood celebrities to heads of state and notorious businessmen. Suchard performs his comical and innovative mind reading feats in major international events, and is also wanted in exhibitions and professional conventions of the largest Fortune 500 companies around the world where he created a special concept of “infotainment” where he creates tailor made acts to convey the company’s messages and brand. Lior travels every week to a different country where he performs his mind boggling acts from small intimate private parties and corporate events to large venues or more than 5000 people. Lior has left live audiences in awe all around the globe, performed in more than 50 countries and been featured on numerous TV specials. He became a mainstay on the Tonight show, having been asked to appear 5 times to stun guests including James Spader, Kim Kardashian, Zac Efron , Taylor Lautner and Jimmy Fallon not to mention the host Jay Leno. Other memorable TV appearances saw him amaze the legendary Larry King in a One on One Special and almost reduce an astonished Barbra Walters to tears on The View. Adding to Lior's talent as a mentalist, is his natural ability for creating an all-round entertaining performance. Throughout his live show, 'Supernatural Entertainment' , Lior relies on full audience participation to perform supernatural feats far beyond telepathy and mind reading. He uses members of the audience to perform his acts, interacts with them and elates their senses by taking them on a exciting adventure built on drama, tension and astonishment doused with a huge sprinkling of humour, comedy and fun. CEOs of the world's top companies regularly book Lior to perform and MC at business events to draw in potential customers or motivate employees with his astonishing display of mind-reading trickery and humor. Lior has also been invited to attend more intimate, crucial business meetings both by businessmen and politicians as a way of breaking the ice.